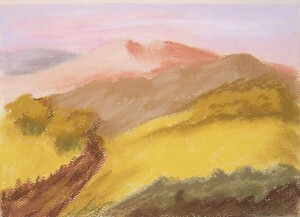 This entry was posted on Sunday, April 24th, 2011 at 12:04 pm	and is filed under 100 Pastel Challenge, Color, Landscapes, Paintings, Pastels. You can follow any responses to this entry through the RSS 2.0 feed. You can leave a response, or trackback from your own site. Ohhhhhh I love it. That color range in the mountains gives it a hazy fade. One of my favorites! It looks like late afternoon, prior to sunset. 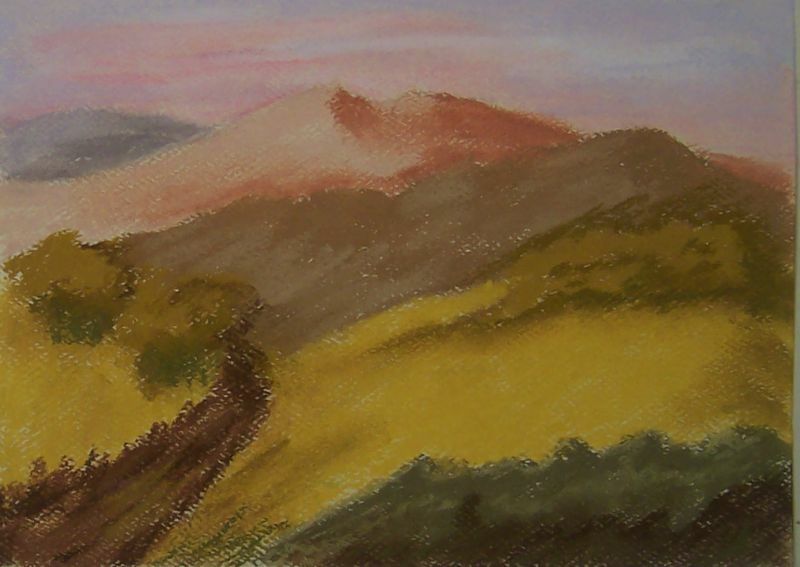 Peach colored hills in the background, with the sun still bright on the golden hills. Very nice!